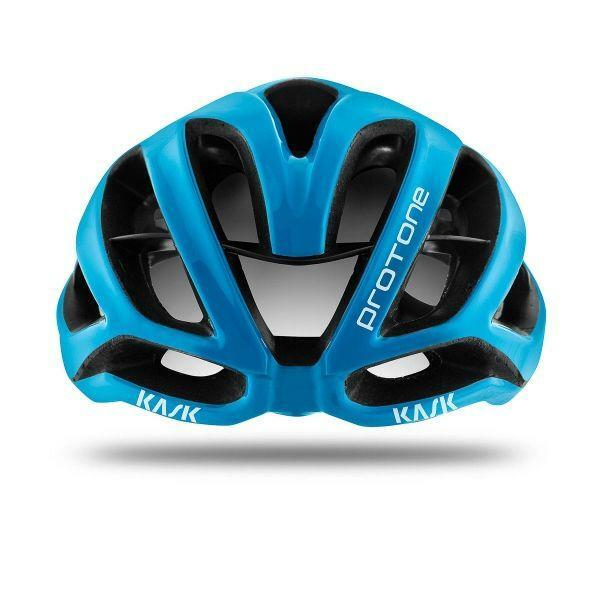 Kask's Protone helmet is part of a new generation of "semi-aero" helmets, which combine the benefits of an aero shape with a decent amount of ventilation. 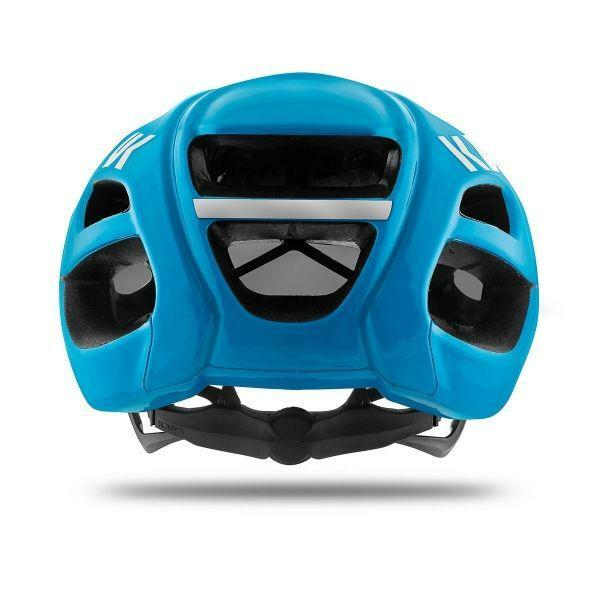 Weighing just 215g in a size Medium, the Protone is remarkably lightweight for an aero helmet. 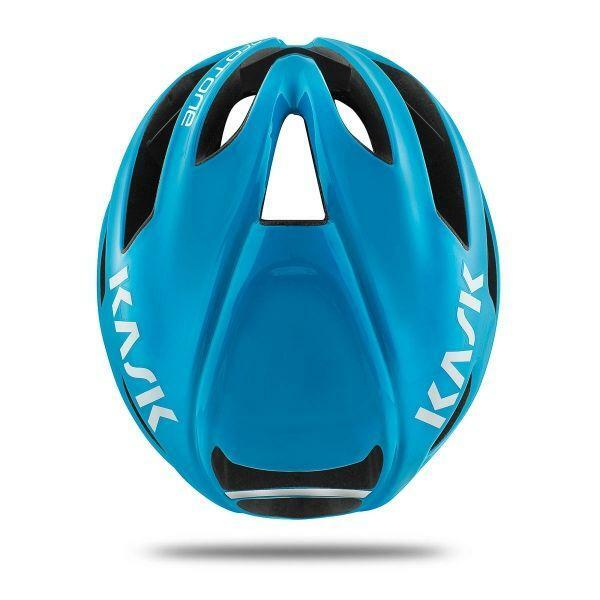 Together with thick padding and large vents this makes for a comfortable helmet that retains good aero advantages. Kask have even ensured that you can hold your glasses in the vents of the helmet without any major compromises to aerodynamic efficiency - a clever touch that shows their level of attention to detail and real-world practicality. These helmets are proven in the peloton, and that Pro feedback is invaluable. 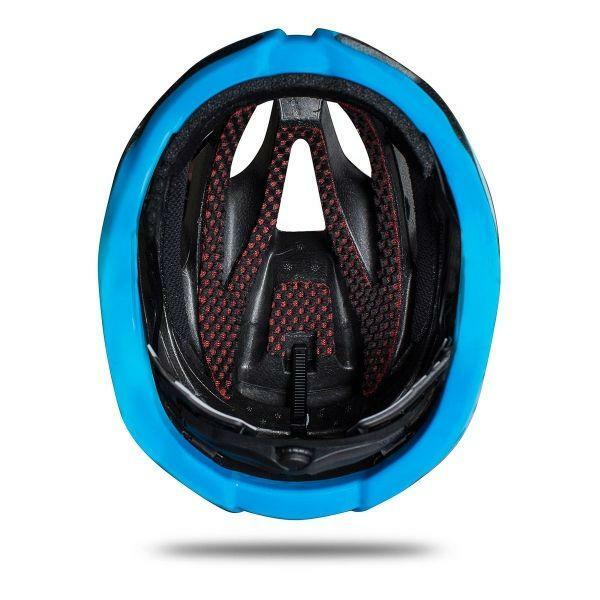 An internal plastic sub-frame provides extra crash protection, helping keep the helmet together in the event of an impact, and wide lightweight straps ensure a secure fit. The Protone uses a 3D Dry padding with a multi-layer open cell construction process to give a more comfortable ride. It has removable and washable inner padding, made from CoolMax® fabrics and its inner padding fabric has been treated using the Sanitized® antimicrobial process. 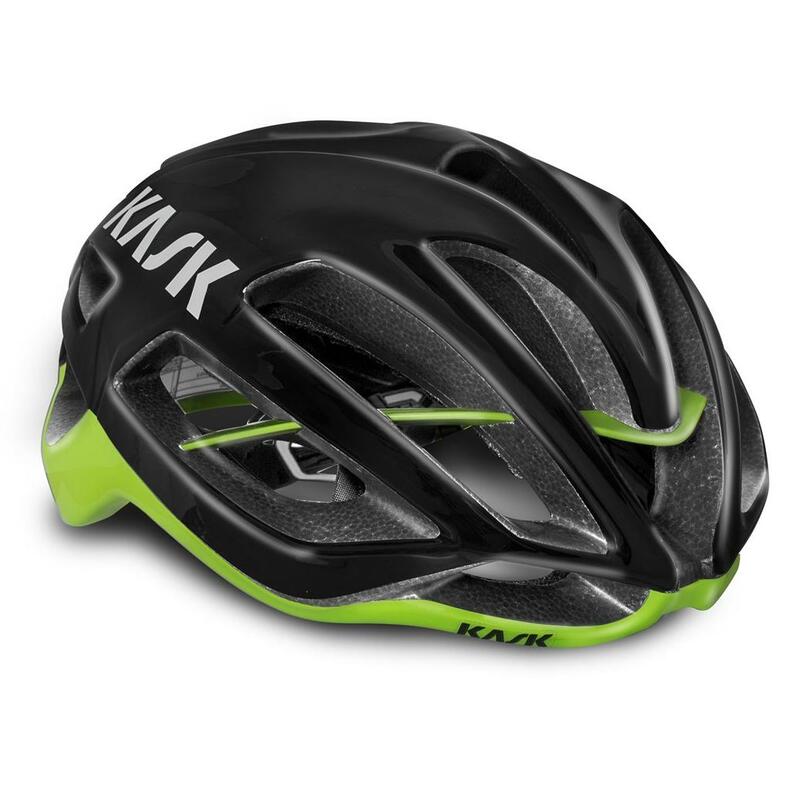 KASK has also continued to use its Multi In-Moulding Technology to create a polycarbonate cover for the top, base ring and the back of the helmet's shell. This is joined to the inner polystyrene cap via KASK's In-Moulding Technology to improve the shell's shock absorption. Its strengthened frame further reduces the risk of a shock breaking the shell.